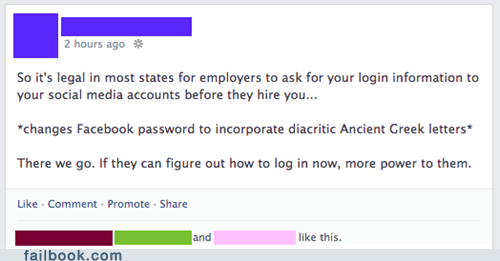 Security Memetics: can we have the password for your password? considering how awful many sites are at handling passwords, i wonder if facebook actually accepts non-ASCII-printable characters. some don't even accept normal punctuation.